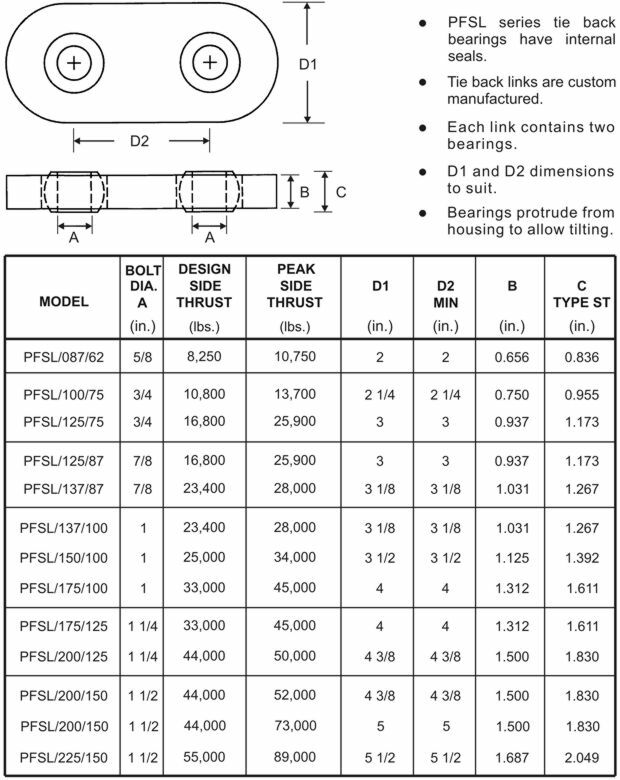 The PFSL tie back linkage is manufactured with internal seals. This makes the tie back link easy to install on site. Consequently these links can be supplied un-assembled with the connections.